We left Mazza Winery in North East, PA this morning at 8:00 and continued our drive east. Most of the day was spent on I-90, the NY Thruway. 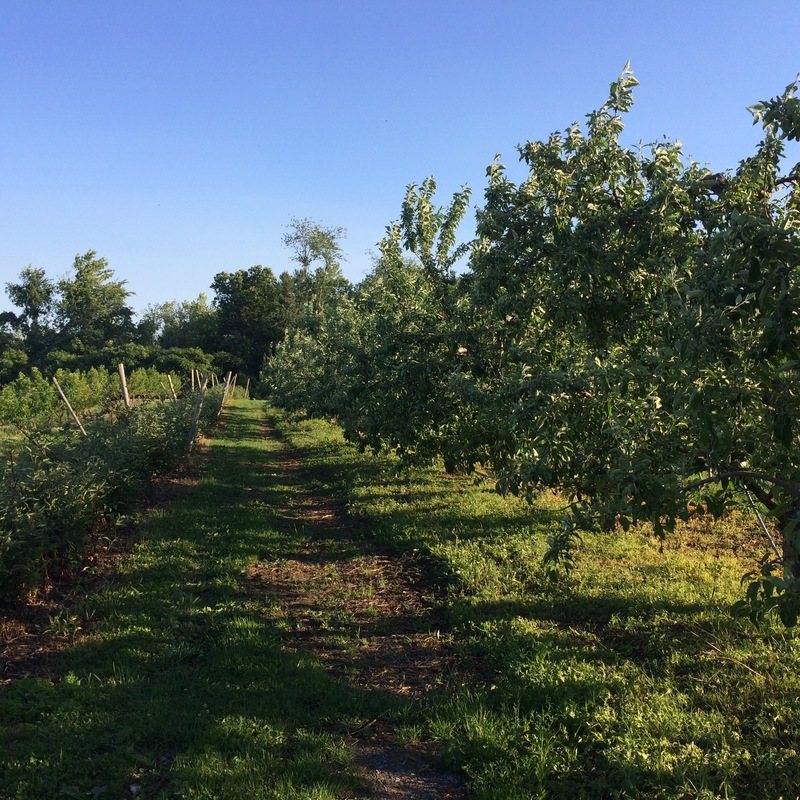 We looked last night for another Harvest Hosts location along the way and found an orchard just north east of Schenectady, NY. Bowman Orchards (current name) was originally owned by the sister of John Macintosh, for whom the apples were named. In 1952, the Bowman family purchased the farm. Now, four generations of Bowmans live here. On the tour we saw apples, strawberries, raspberries, blackberries, and rhubarb. We also saw horses, pigs, alpacas, goats, chickens, and sheep. Jay sent us on our way with pastries for breakfast. This is a lovely place to stay, run by the nicest people. If you are ever in the area, stop here. Give these people your business.